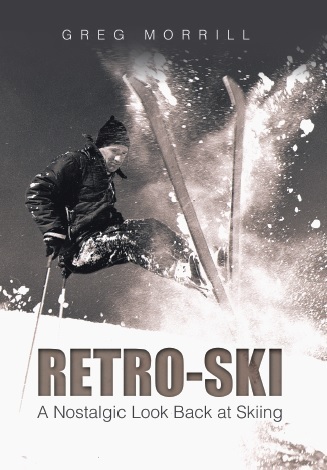 This year marks the 60th anniversary of buckle ski boots! That’s right, they were introduced in 1955. I didn’t receive any correct answers for that trivia question from last week. Bob Stewart did guess 1952 which was a little too early. I actually expected people to come in with answers in the 1960s because that’s what I would have guessed. However Henke introduced the first buckle ski boot in 1955 and of course, we’re talking leather boots in those days. 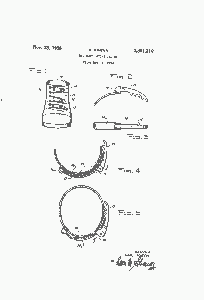 In 1954 Hans Martin, a Swiss bike racer and stunt pilot, obtained a patent on a “Ski Boot Lacing System” that involved “lace loops” and “tensioning means”. You won’t find the word ‘buckle’ anywhere in the patent (you can view the original patent online.) A Czechoslovakian contributor to my blog points out that the wording was intentional to maintain the uniqueness of the system. Other patents already mentioned boots and buckles so there could have been a chance of prior discovery. Anyway, think of the “lace loops” as the bails and the “tensioning means” as the buckles. Henke, a Swiss company, bought the rights to the patent from Martin. It’s difficult to believe for those of us who used laced ski boots that we skiers were hesitant to adopt the buckle boots. Most good laced boots had at least two sets of laces to contend with: an inner boot with a speed lace and the outer boot. Putting the boots on took time and adjusting them to the desired tightness was often trial-and-error. Tightening or loosening a boot certainly wasn’t something you did outdoors on a cold day! With buckles you can simply loosen them for the ride up and tighten them for the run down. In fact that was one of the advantages mentioned in the original patent. In the early 1960s Henke would license other boot manufacturers to use their patented process and buckle boots began to catch on. The “year of the buckle boot” would be 1963, according to my Czechoslovakian source. By then Henke was the number one ski boot producer in the world. Interestingly, Bob Lange made his first plastic boot prototypes using laces, but realized that he needed the mechanical advantage of buckles to tighten the stiffer plastic boots. Lange launched the beginning of the plastic boot era in 1965. Unlike buckles, plastic boots would quickly gain acceptance and proliferate. Soon there were no laces only buckles. One Response to 60th Anniversary for Buckle Ski Boots!